If you decide to use home-made mayonnaise, then that’s the first thing you should do. WASH, then slice the tomatoes and tear the lettuce into chunks. Use 2 leafs of lettuce for each layer later on. HEAT up a skillet and cook the bacon until very crunchy. BRUSH both sides of the bread using a silicone brush and grill them on both sides on the grill pan. SPREAD the slices of bread with some mayonnaise. 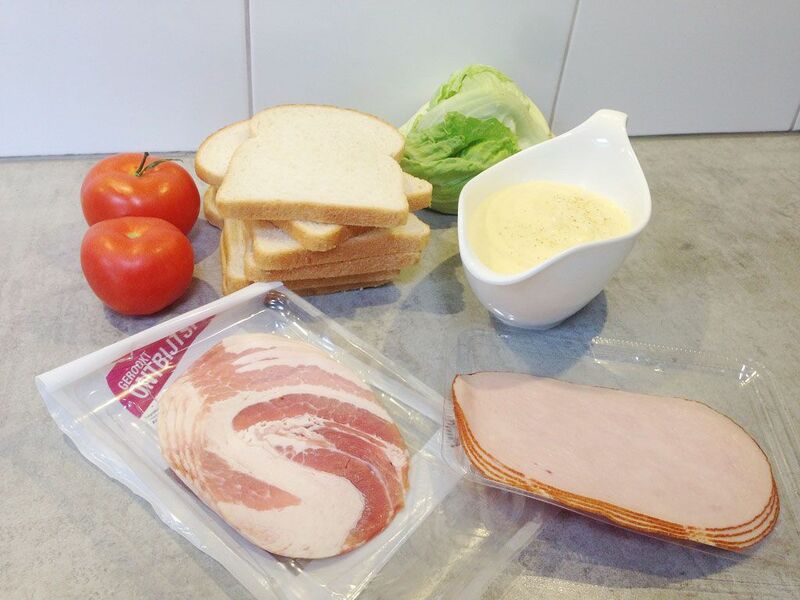 The first layer contains lettuce followed by tomato slices, turkey, bacon and another slice of bread. REPEAT previous step and finally top it of with another slice of bread. The mayonnaise side should be pointing down, inspect the photo attached to this recipe if you’re not entirely sure of what the result might look like. SLICE the sandwich halfway trough. 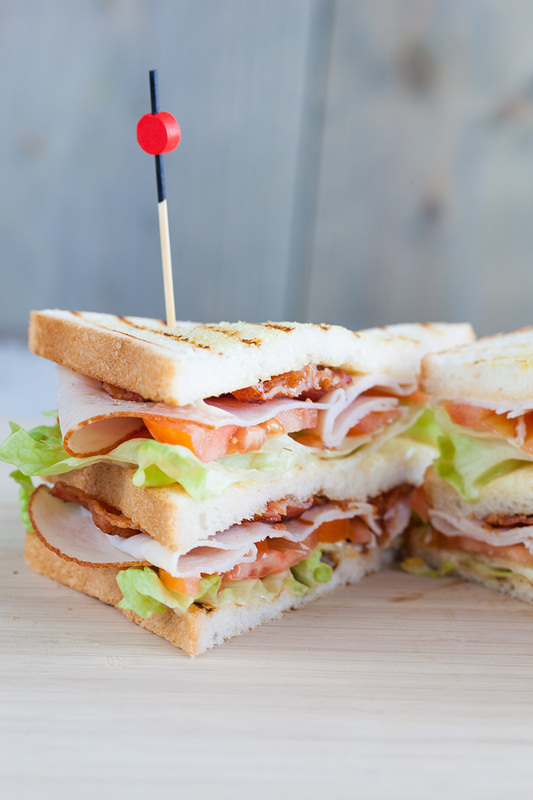 Pin the sandwich using the wooden skewers to prevent it from falling apart before serving. 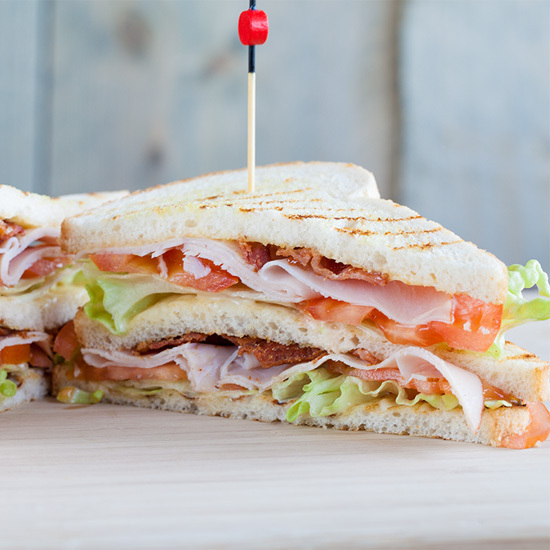 Did you know that an often seen presentation for this particular sandwich, is the addition of salty potato chips or sweet pickles. 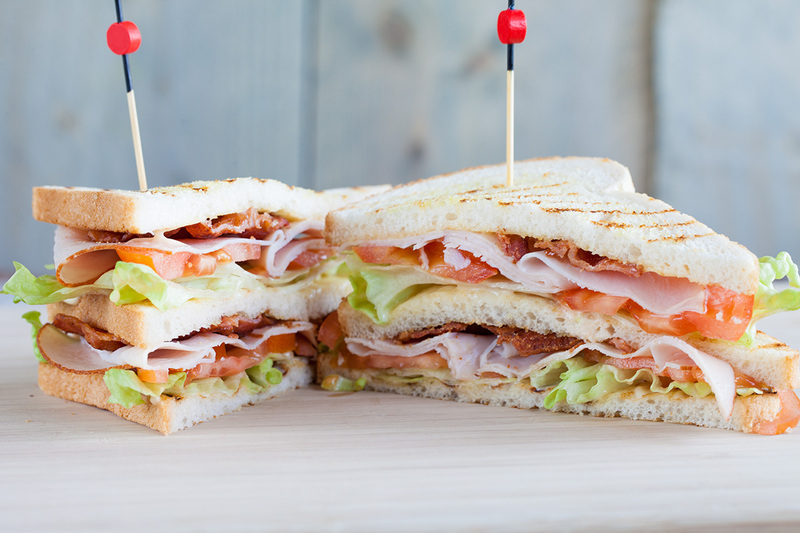 It’s not required for you to serve those with this sandwich, but it surely does let the flavors come out more.